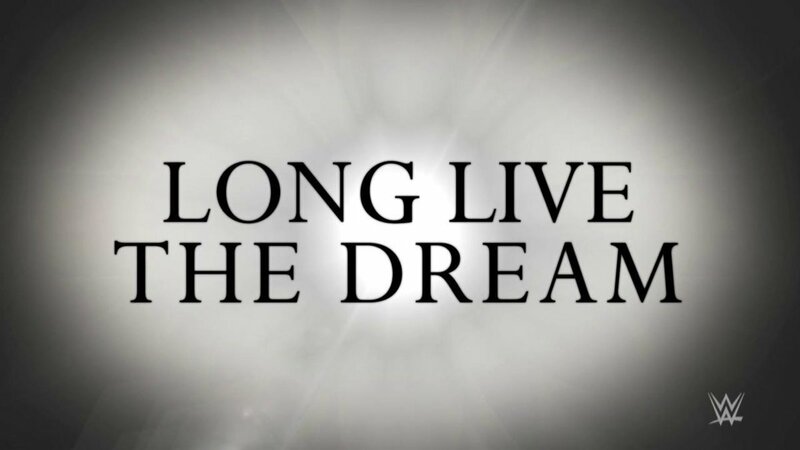 The show opens up with a powerful video honoring the life of Dr. Martin Luther King, Jr., who we celebrate today in America. Brock Lesnar’s music hits, and the WWE Universal Champion makes his way to the ring to loud boos alongside Paul Heyman. They get in the ring. Lesnar smiles while a light “Suplex City” chant picks up, but the booing is still louder. Heyman introduces himself as the advocate for the reigning, defending, undisputed Universal Heavyweight Champion, Brock Lesnar. Heyman says it’s time to get down to business. Last week on Monday Night RAW in front of a global television audience, Finn Balor pinned John Cena. Heyman says this was no fluke and there was no controversy. Finn Balor stepped up and seized the moment so much so that John Cena, the second greatest of all time, took the microphone in his hands and said he believes in Balor. Heyman says Cena should. Balor seized the moment so much so that the entire WWE Universe has stood up in unison and declared they believe in Finn Balor. Heyman says they should. Heyman says he believes in Finn Balor. No knocking on him. Balor seized the moment against John Cena, which is the theme of his entire career. Balor believes he’ll show up to Chase Field on Sunday and do the same thing: capitalize on fate and circumstance. This isn’t just any title match. 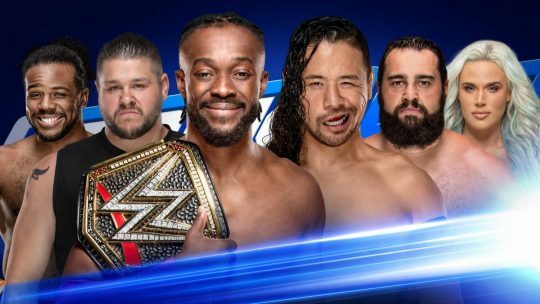 It’s a match for the Universal Championship against a man prepared to fight Braun Strowman. Lesnar now has to defend his title against a contender he is not prepared to fight. That’s why Finn Balor believes, as well as Heyman. Balor’s voice matters. However, Heyman’s is the voice that martyrs. This Sunday, at the Royal Rumble PPV event, his client, Brock Lesnar, will turn Finn Balor into a martyr sacrificed for committing the sin of making people believe he can conquer the unconquerable conqueror. Balor will be sacrificed for believing that he is the slim reaper that will slay the beast. Heyman is going to give a spoiler alert: even miracles Brock Lesnar. This Sunday, it will be Finn Balor on his back saying, “Oh my god, I believe in Brock Lesnar!” Lesnar holds up the WWE Universal Championship. All of a sudden, Mr. McMahon’s music hits, and he makes his way out to the ring. McMahon says Heyman is like an old school promoter trying to drum up some business. McMahon says the only way anyone can believe in Brock Lesnar vs. Finn Balor is if people believed in David vs. Goliath. McMahon then tells the story incorrectly that Goliath beat David. David was then resurrected as Finn Balor. McMahon claims Balor doesn’t have many fans. If any of the people in hillbilly land actually believe that Balor can beat Lesnar, then the believe in fairy tales. Braun Strowman’s music hits, and he angrily makes his way to the ring. 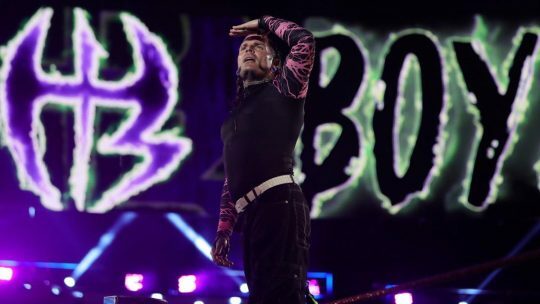 Strowman says last Monday was the worst night of his night because of Baron Corbin. Corbin cost him $100,000 and a championship match against Lesnar. Last Monday was also the luckiest night for Lesnar. If Lesnar survives this Sunday, he’ll be waiting on the other side to rip him apart like one of Mr. McMahon’s limousines. McMahon tells him he’s lucky he’s still employed. Finn Balor makes his way to the ring. Balor says this is the same old Monday Night RAW. Balor says he’s the guy that beat three other people, including the greatest of all time John Cena. Heyman corrects him and says Cena is the second greatest behind Brock Lesnar. Balor says he earned his opportunity to face Lesnar. Balor says he knows McMahon believes he can’t beat Lesnar, but he believes. The Balor Club believes. At the Royal Rumble, he will beat Lesnar and reclaim his Universal Championship. Strowman says he knows he could have beat Lesnar. Strowman doesn’t know if Balor can, but he better. Balor warns Strowman to keep his nose out of his business because he’ll beat Lesnar, which is something Strowman couldn’t do. 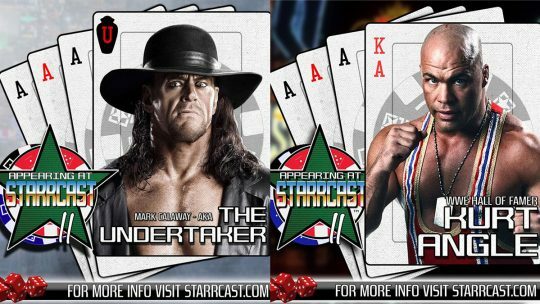 At this point, Lesnar and Heyman leave. McMahon calls him back, but Lesnar keeps walking. Balor then corrects McMahon on his tale of David vs. Goliath. David took out Goliath. No one was laughing then. McMahon invites Lesnar and Heyman to come to ringside. Balor is going to reenact David vs. Goliath because he’s facing Braun Strowman now. We join this match in progress. Strowman takes Balor down and eyes up Brock Lesnar at ringside. Balor slaps Strowman, so Strowman clubs him down. Balor quickly boots him back, but Strowman quickly counters a Sling Blade and clubs Balor down. Strowman then boots him out of the ring. Strowman goes outside and viciously takes Balor out with a big shoulder block. Strowman gets Balor in the ring and goes for a Running Powerslam, but Balor slides off. Strowman immediately catches him with an avalanche for a near fall. Strowman then grabs the shoulder and applies a nerve hold. Balor fights up, but Strowman head-butts him out of the ring. Strowman goes outside and charges, but Balor wipes him out with a Sling Blade! Balor gets in the ring and catches his breath. Strowman gets in the ring and misses an avalanche. Strowman swats Balor away and lifts him up, but Balor counters into a sleeper hold. Strowman gets out, but Balor immediately jumps on his back with another sleeper hold. Strowman fights him off, but Balor wildly elbows him in the neck a few times. Strowman falls to the mat, so Balor double stomps him. Balor goes to the top rope, but Strowman swats him off into Lesnar’s arms at ringside! Lesnar catches him and hits a belly-to-belly overhead suplex on the floor! Lesnar gets on the apron and stares at Strowman. Balor then pulls Lesnar off the apron and dropkicks him into the ring post! Balor gets in the ring, avoids Strowman, and hits Lesnar with a somersault senton. Balor gets in the ring and hits Strowman with a Sling Blade before hitting a baseball slide on Lesnar. Balor dropkicks Lesnar into the barricade. Strowman grabs Balor by the head and throws him into the ring. Balor avoids Strowman, sending him shoulder-first into the ring post. Balor dropkicks him into the corner and goes to the top rope. Balor hits the Coup de Grace, but Lesnar immediately gets in the ring and connects with an F5! WWE Intercontinental Champion Bobby Lashley makes his way to the ring alongside Lio Rush. There is a podium in the ring. Lashley defeated Dean Ambrose and Seth Rollins to win the title last week on RAW. 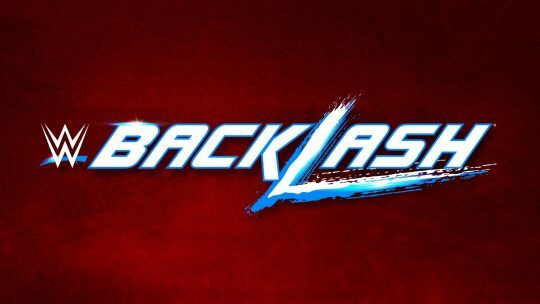 Lio Rush says Bobby Lashley is better than Seth Rollins and Dean Ambrose, as well as everyone in the locker room. They’re not out here to issue an open challenge. That’s for kids. They’re here for money. Tonight, they’re here to celebrate. Rush has Lashley get on the podium while he puts the Intercontinental Championship around “The All Mighty” Bobby Lashley’s waist. Lashley poses with the belt on. Apollo Crews’ music hits, and he makes his way to the ring to interrupt the celebration. Crews congratulates Lashley on winning the Intercontinental Championship. Nobody paid their hard earned money to see Lashley pose. They want to see Lashley compete. Crews knows it won’t be a championship match, but how about they lock up? Rush says Crews isn’t even in Lashley’s league. If Crews can beat Lashley in a pose-off, he’ll let him have a match. Crews says he doesn’t know how to pose. Rush says he doesn’t know how to be a champion either. Lashley flexes his arms. Crews then gets on the podium and does some mock poses, which the crowd enjoyed. Lashley doesn’t seem too pleased. Rush has Lashley do a side chest pose. Crews follows suit. Lashley then does a really impressive pose, so Crews does as well. Lashley angrily attacks Crews, but Crews sends him out of the ring. Crews then press slams Rush over the top rope onto Lashley. We join this match in progress. Lashley takes Crews down for a two count. Lashley punches Crews in the corner and whips him hard to the opposite side. Lashley hits a running shoulder before putting him on the top rope. Crews boots him back and hits a missile dropkick. Crews punches him back and hits a leaping clothesline. Crews goes to the top rope and jumps over Lashley. Crews avoids Lashley and rolls him up for a two count. Crews lifts Lashley up for a press slam, but he drops Lashley and falls. Crews grabs his back while the referee checks on him. Crews gets to his feet and executes the press slam. Crews goes for a standing moonsault, but Lashley moves. Crews quickly comes back with a step-up enzuigiri and grabs Lio Rush on the apron. Crews goes for a press slam on Rush, but Lashley spears him for the win! Seth Rollins calls attention to it being Martin Luther King, Jr. Day in America. Rollins says we could all learn something from Dr. King in this day and age. Dr. King said the measure of a man is how he deals with adversity, something Rollins knows a lot about. A few months ago, he stood in the ring with two titles on top of the world. Now he has no titles and a broken family. Rollins will always have his first and last love: wrestling. As long as he has the ring under his feet and fire in his eyes, he can say he will go to Phoenix this Sunday and win the Royal Rumble match. Even saying that sounds crazy and like a long shot, but Rollins doesn’t give a damn because his whole life has been a long shot. Rollins isn’t the usual WWE Superstar. Rollins isn’t like Drew McIntyre or Bobby Lashley. Rollins is a kid from a small town. His parents were blue collar working to keep a roof over his head. Rollins could be working a farm or driving a truck. The only reason he’s not is because of heart. Call it whatever you want, but it’s ingrained in his soul. Every fiber of his being says it’s a long shot. 30 guys will walk into the Royal Rumble, but when the dust settles there will be one man heading to WrestleMania: Seth Freakin’ Rollins. Drew McIntyre makes his way to the ring. McIntyre says Rollins has a 0% chance of winning the Royal Rumble. Rollins’ style is too high risk. Rollins will be eliminated. What happens if you take all that passion Rollins has and put it into the Terminator? You get Drew McIntyre. McIntyre knows this is everything to Rollins, so he hopes and prays they’re in the ring together at the end of the Royal Rumble. McIntyre wants to look into his eyes before he throws him over the top rope. 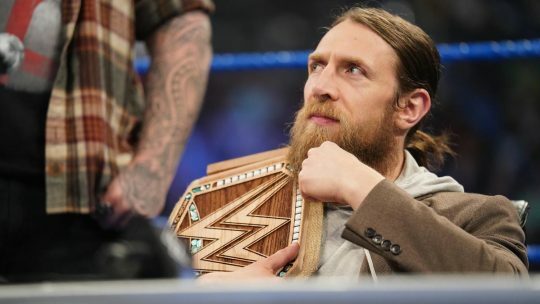 Then McIntyre wants Rollins to listen to the ring announcer announce him as the winner of the 2019 Royal Rumble and going on to WrestleMania. This is the third match we’re joining in progress tonight. Rollins clotheslines McIntyre over the top rope and hits a suicide dive. Rollins hits a springboard clothesline for a near fall. Rollins chops the chest and gives McIntyre a back body drop over the top rope. Rollins goes to the top rope and dives to the floor, but McIntyre sends him into the barricade. McIntyre puts Rollins in the ring and stretches him against the ring post. McIntyre then picks up a two count. McIntyre stretches Rollins while the commentators talk about how McIntyre injured John Cena last week, making him questionable for the Royal Rumble. Rollins connects with a jawbreaker, but McIntyre quickly hits a back elbow for a two count. McIntyre stomps Rollins, but Rollins begins fighting back. McIntyre reverses a whip to the corner, and Rollins rolls up the turnbuckles a la Shawn Michaels. McIntyre picks up another two count. McIntyre hits a belly-to-belly overhead suplex before applying an arm bar. Rollins fights up and tries to slingshot over him, but McIntyre kicks him in the ribs. Rollins goes outside to recover, so McIntyre hits him with an inverted Alabama Slam on the floor! We come back from the break to see Rollins fighting back and connecting with a Sling Blade. Rollins follows up with a blockbuster for a near fall. Rollins counters a powerbomb attempt into a hurricanrana with a cradle for a two count. McIntyre avoids a Stomp, but Rollins comes right back with a falcon arrow for another near fall. Rollins sets up for a Stomp. Rollins kicks McIntyre in the midsection, but McIntyre avoids the Stomp. Rollins flips through a back suplex and drives McIntyre into the corner. Rollins puts McIntyre on the top rope. McIntyre elbows Rollins off, but Rollins gets him in the tree of woe. Rollins goes to the top rope, but McIntyre sits up and pulls him off. Rollins lands on his feet, but McIntyre avoids a shoulder. McIntyre charges, but Rollins wipes him out with a superkick for a near fall. The crowd starts up a “This is awesome” chant. They exchange punches and chops until McIntyre takes him down with a Glasgow Kiss. McIntyre also falls to the mat in pain. McIntyre is soon to his feet and scoops up Rollins. McIntyre goes to the second rope and comes off with White Noise, but Rollins kicks out. McIntyre immediately follows up with a sit-out powerbomb for another near fall! They slowly get to their feet. McIntyre goes for a move, but Rollins counters into a roll-up for the win. 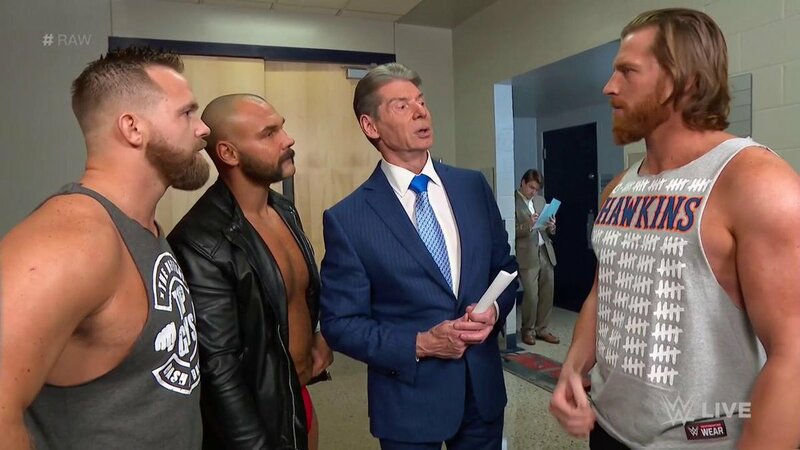 The Revival is arguing with Mr. McMahon about how they’ve been screwed in their last RAW Tag Team Championship matches. Someone is calling for McMahon. It’s Curt Hawkins. McMahon says he’s lost too much and should look for another line of work. McMahon says he could maybe put up the ring. McMahon then decides to make Hawkins the referee for The Revival’s last RAW Tag Team Championship opportunity. Dean Ambrose is backstage. Ambrose mentions that a former partner of his quoted Dr. King. Ambrose quotes King by saying, “Injustice anywhere is a threat to justice everywhere.” It’s an injustice that he is not the Intercontinental Champion. Ambrose can’t wait to eliminate Seth Rollins and Bobby Lashley from the Royal Rumble and win the whole thing. Jinder Mahal starts off against Lince Dorado. Mahal takes him down before tagging in Samir Singh. Dorado takes him down, so Sunil Singh tags in. Kalisto quickly tags in, and they hit a double-team splash on Sunil. Kalisto takes him down and applies an arm bar. Sunil quickly throws Kalisto out of the ring. Mahal tags in and takes Kalisto down for a few before tagging in Sunil. Sunil applies a chin lock before releasing and knocking off Dorado. Gran Metalik tags in and hits a tilt-a-whirl backbreaker for the win. The commentators did not think this was the finish. EC3 is posing in front of a mirror backstage while Dana Brooke watches and tries to talk to him, but he seems more interested in the mirror. Elias then walks by them. “Ladies and gentlemen… Elias.” Elias greets the crowd and plays for a few moments. Elias says 2019 will be a great year because of one universal truth. That is that WWE stands for Walk With Elias. Elias has written a song, his finest one yet. We join this match in progress, the fourth time out of five matches tonight. Elias walks on the ropes like The Undertaker before leaping off to hit an arm drag. Elias and Corbin punch it out on the apron before Corbin kicks him back first into the ring post. Corbin punches away at Elias in the ring while the crowd chants, “You got fired!” Elias whips Corbin to the corner, but Corbin catches him with an out and in clothesline for a two count. Corbin throws Elias to the apron, but Elias fights him back. Elias catches him with a knee to the face followed by a swinging neckbreaker for a near fall. Elias punches away at Corbin, but the referee pulls him back. Corbin stuns him with a right hand before hitting the End of Days for the win. Alexa Bliss comes out to the stage to her Moment of Bliss set. Bliss showcases all the women that will be in the 30 Woman Royal Rumble Match. Bliss now introduces her guest, Nia Jax. Bliss asks who Jax would pick to face if she won the Royal Rumble. Before she can speak, Ember Moon interrupts. Moon says she’s tired of sitting in the locker room. She’s going to win the Royal Rumble. Alicia Fox now comes out and says she’s the captain of this division and will set the course to WrestleMania. Mickie James now comes out. James says she stole the show at WrestleMania and will do it again. The Riott Squad now comes out, as does Dana Brooke, Tamina, and Nikki Cross. Bliss stands on a chair and says this is her show. If this breaks out into a brawl, they’ll expose them as catty women who don’t support each other. It also hurts her reputation as a talk show host. A brawl then breaks out. They fight back into the Gorilla Position, which has been cleared of all it’s equipment. Bliss says the women in this year’s Rumble are passionate. 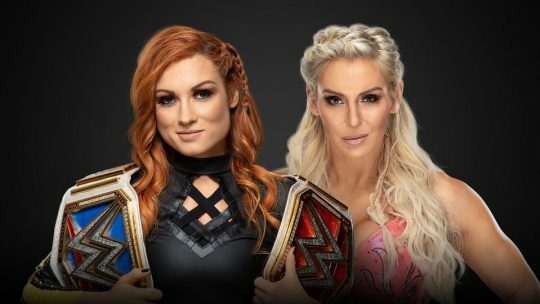 This will be a Moment of Bliss they will never forget because she is competing in this Royal Rumble match. That gets a good reception. Lacey Evans comes out and takes the microphone from Bliss. Evans says this division is full of nasty, classless girls. Luckily for the WWE Universe, the winner of the Royal Rumble match will not be a sawed-off girly runt. The winner of the Royal Rumble match will be her, a classy, sophisticated lady: Lacey Evans. Bliss looks furious. Titus O’Neil announces he will be in the Royal Rumble, but a crew member walks into his shot. Otis Dozovic starts against Viktor. Viktor bounces him off the turnbuckle, but Dozovic comes back with a spinning slam. Tucker Knight tags in, and they hit stereo falling head-butts. Viktor fights him, but Knight hits a springboard cross-body. Dozovic tags in, and they sandwich Viktor’s head between their midsections. They then take Konnor down. Dozovic dances and drops an elbow on Konnor. Dozovic then does the caterpillar and drops an elbow. Knight tags in, and they hit the Trash Compactor for the win. Curt Hawkins is the special guest referee. Dash Wilder starts against Chad Gable. Gable quickly takes him down and applies an arm bar. Bobby Roode tags in, but he wasn’t holding the tag rope so Curt Hawkins doesn’t allow it. Scott Dawson tags in and punches away at Gable, knocking him out of the ring. Gable gets back in the ring, so Dawson hits a European uppercut. They concentrate on Bobby Roode, but Gable wipes them out with a double diving clothesline. They give The Revival stereo back body drops. Roode then gives Gable a back body drop over the top rope onto Wilder. Dawson then clotheslines Gable on the floor. We come back from the break to see Wilder stop Gable from making a tag, but he eventually does. Roode hits a pair of clotheslines followed by a back body drop. Dawson comes off the top rope, but Roode counters into a slam. Roode shoulders Wilder and goes to the second rope. Wilder moves, so Roode clotheslines Dawson over the top rope. Roode then hits Wilder with a spinebuster. Wilder rolls to the apron, so Roode tries for a suplex. Wilder counters into a splash and Dawson holds the feet, but Hawkins catches them. Hawkins catches them trying to cheat again. Gable tags in, and Dawson rolls him up with a handful of tights. Hawkins sees and won’t count the pin. They shove Hawkins. Gable finally rolls Dawson up for the win. The Revival argue with Hawkins, so he has replays shown of what they did during the match. They attack Hawkins until Zack Ryder makes the save. Ryder clears The Revival from the ring and helps his former tag team partner Hawkins up. Ronda Rousey is warming up backstage. 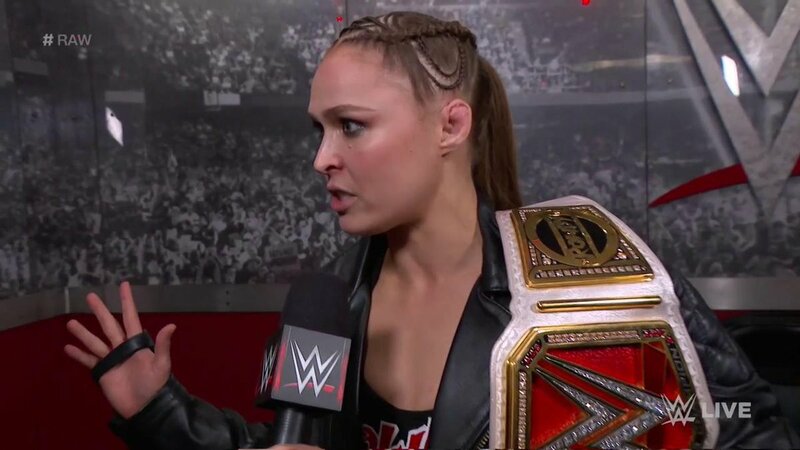 Rousey has been trying to find a reason why she owes Sasha Banks an apology. Rousey says she doesn’t owe Banks a damn thing. Banks insulted her immediately. Rousey has received nothing but disdain and resentment from Banks. Rousey was put in the position of begging her to face her for the title. Where is Banks’ passion? Banks is high on life instead of hungry to improve. That’s the difference between a Boss and a Champion. She’s the Boss’s Boss and the HBIC. While Banks and Bayley are making their entrance, Natalya has to hold Rousey back. Banks grabs a microphone and asks who Rousey thinks she is. Banks is a 4-time RAW Women’s Champion, as well as the first woman to be in a Hell in a Cell match. Rousey got handed everything since she debuted last year. Rousey didn’t give Banks anything. She earned her opportunity against Nia Jax when she made her tap out, which is what she’ll do at the Royal Rumble. 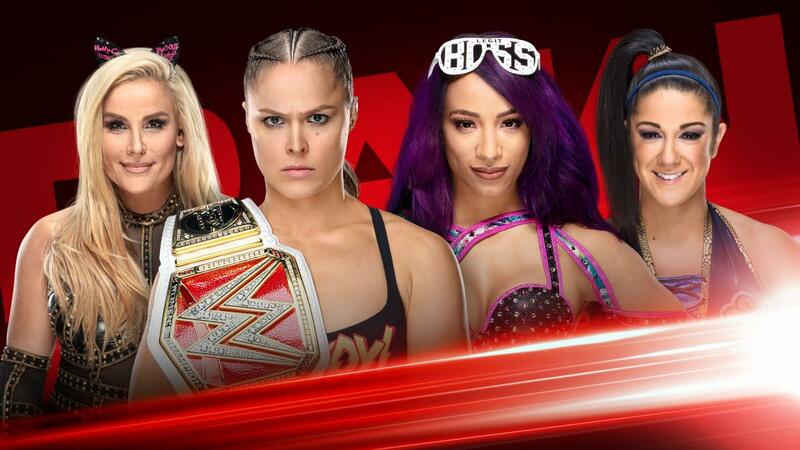 Natalya and Bayley hold back Rousey and Banks respectively. Banks and Natalya will start the match. Banks immediately knocks Rousey off the apron and takes Natalya down. The referee warns Rousey not to come in the ring. Bayley tags in, and they hit a double-team suplex for a one count. Bayley slams Natalya off the top rope. Banks and Bayley hit a modified Poetry in Motion. Banks tags in, and they hit a double hip toss. Rousey runs in and spears Bayley before taking Banks down. We come back from the break to see Natalya slam Bayley into the corner. Rousey tags in, and they hit the Hart Attack. Banks talks trash to Rousey. Natalya tags in and grabs Bayley at ringside. Natalya gets her in the ring and hits a suplex for a two count. Banks tags in. Bayley hits a running knee, and Banks hits a slingshot double knee for a two count. Banks talks more trash to Rousey before turning to Natalya. Bayley hits Natalya with a super hurricanrana followed by Banks hitting a meteora for a two count. Banks then tries to knock Rousey off the apron, but she avoids it. Rousey tags in while Natalya hits an electric chair drop. Banks gets out of a snap Samoan Drop and applies the Bank Statement. Natalya breaks it up and gets knocked out of the ring. Banks quickly boots Rousey down and hits a backstabber. Bayley tags in, but Rousey counters out of a Bayley-To-Belly. Rousey picks up a two count. Rousey knees Bayley in the ribs a few times before kicking her to the corner. Banks gets in the ring, but she moves when Rousey charges. Rousey punches away at Bayley. Bayley counters out of a move and tags in Banks. Rousey nearly applies an arm bar, but Banks rolls to the ropes and out of the ring. Natalya tags in and suplexes Banks into the ring. Natalya steps on Banks and hits a low dropkick. Natalya applies the Sharpshooter, but Bayley breaks it up before knocking Rousey off the apron. Natalya hits Bayley with a Discus Clothesline. Natalya goes for a powerbomb, but the screen goes black signifying a wardrobe malfunction. Banks then applies the Bank Statement to Natalya for the win. This is the first match Ronda Rousey has ever been on the losing side of. After the match, Rousey and Banks got into a shouting match while Natalya and Banks held them back.